We’ve got 3 nice Gary Hanel Eggs in stock! All handshaped by GH in deepest, darkest Leucadia, California. Built by the crew at Moonlight Glassing. 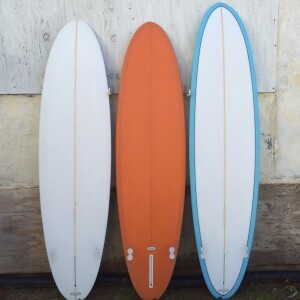 2+1 setup, thinned out rails, beachbreak friendly rocker. 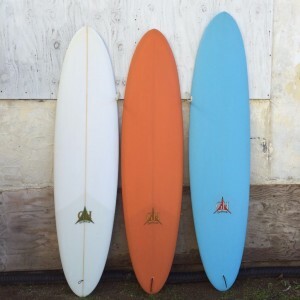 Really, really super fun surfboards to ride all day everyday. When you own a GH EGG life is all rainbows and unicorns. 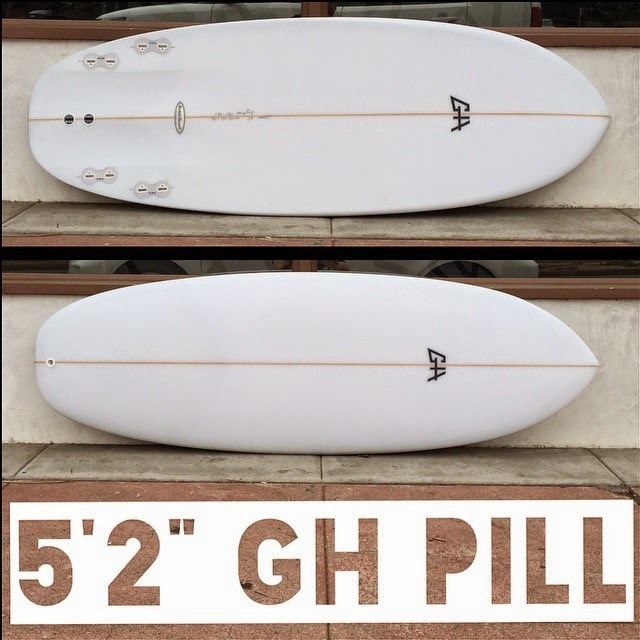 The Gary Hanel Pill has become a staple of the Surfy’verse quiver. 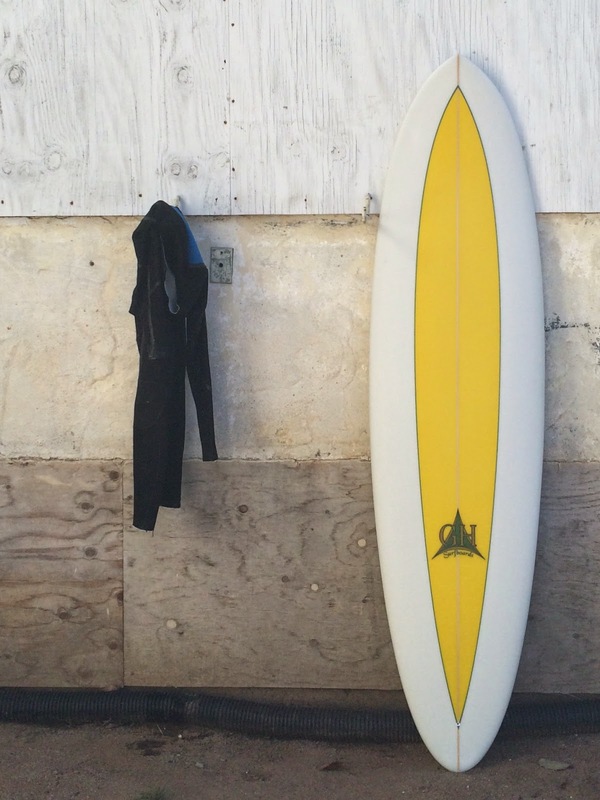 A terror in mushy surf, it will handle good waves as well. 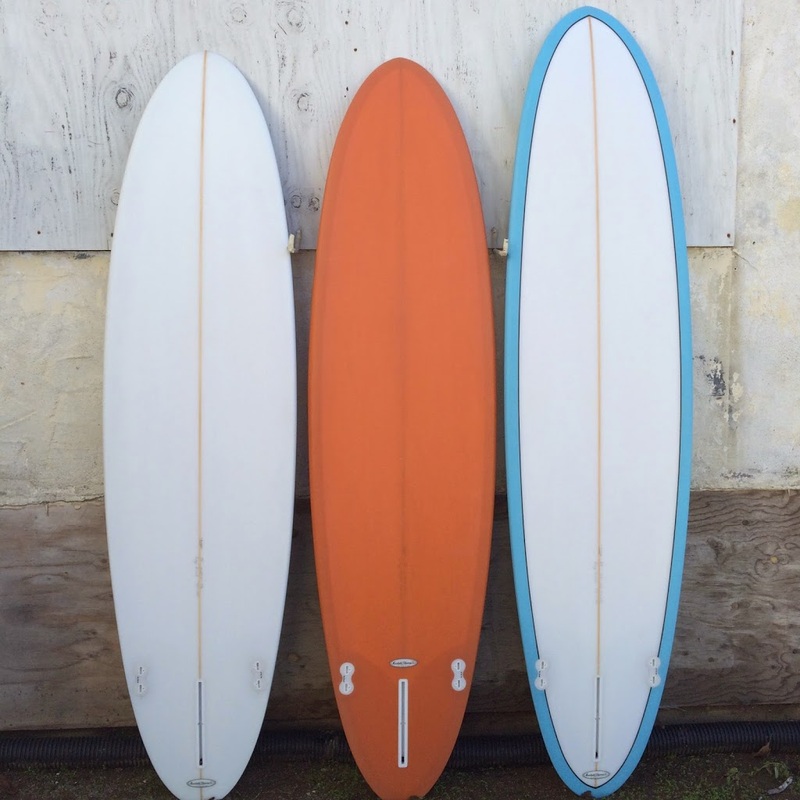 Thin performance rails, curvy hip, deep double concave Bonzer-esque bottom. 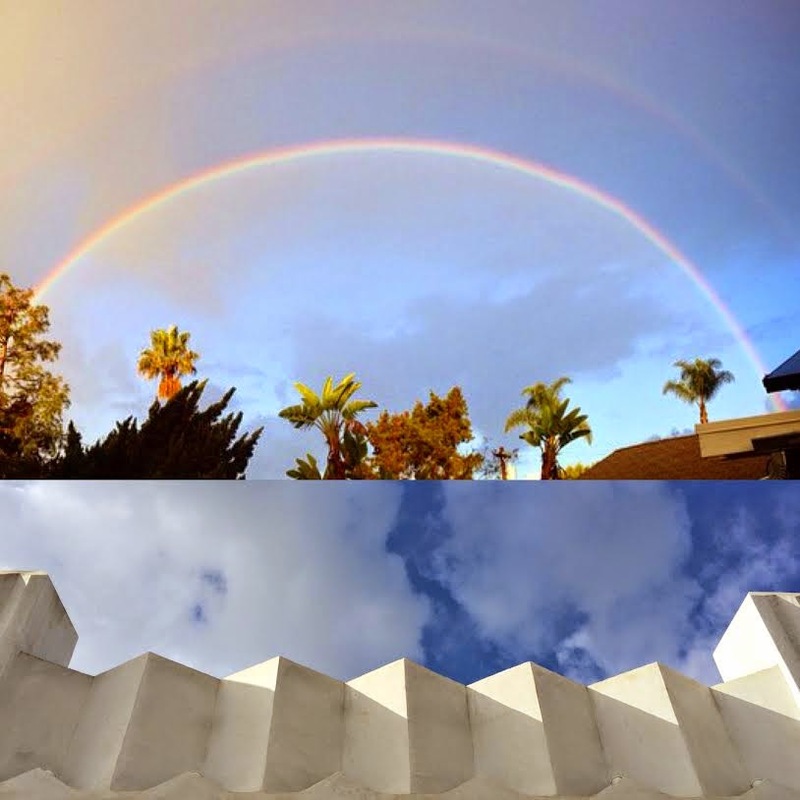 100% handshaped in deepest, darkest Leucadia, California. 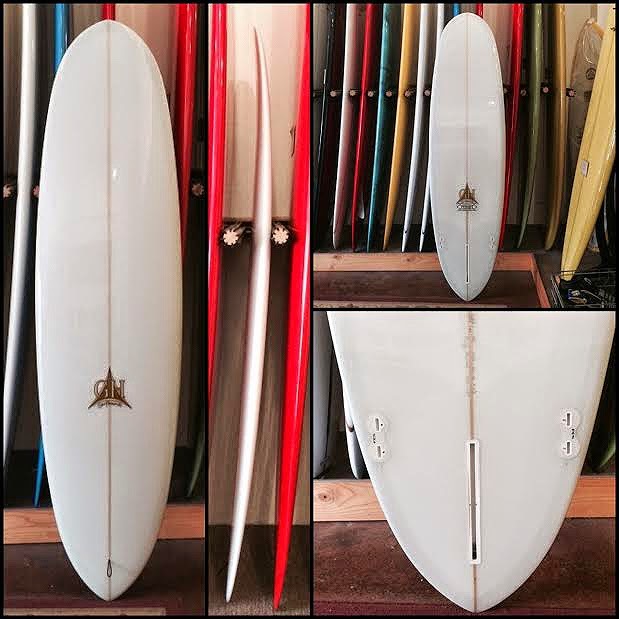 This is one is 5’2″ x 20 1/2″ x 2 9/16″ with 17″ nose x 17 1/2″ tail. Don’t ask how many liters it is because I don’t know and I don’t care. Simple 4oz. clear glass job by Moonlight Glassing. (I switched the center box to the classic plugs because they sculpt nicely into the concaves). We got 5’2″, 5’4″, 5’6″, 5’8″, 5’10” in stock. 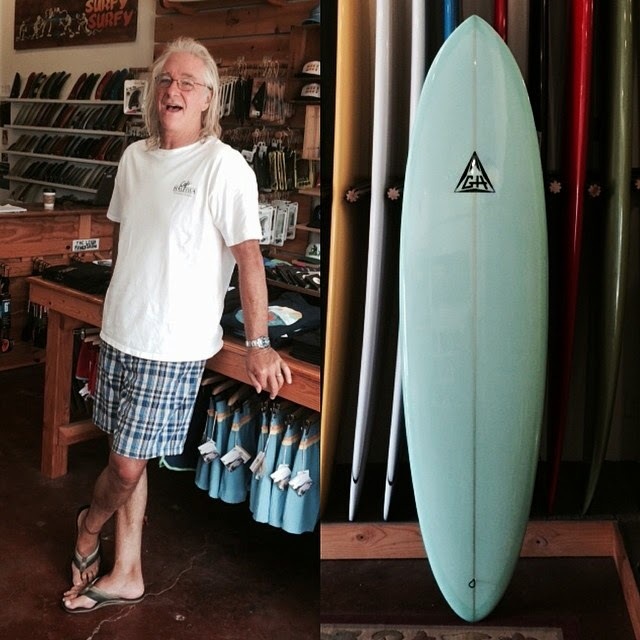 Shaped by Gary Hanel in the little funky beachtown of Leucadia, California. Snazzy resin tint, gloss & polish. 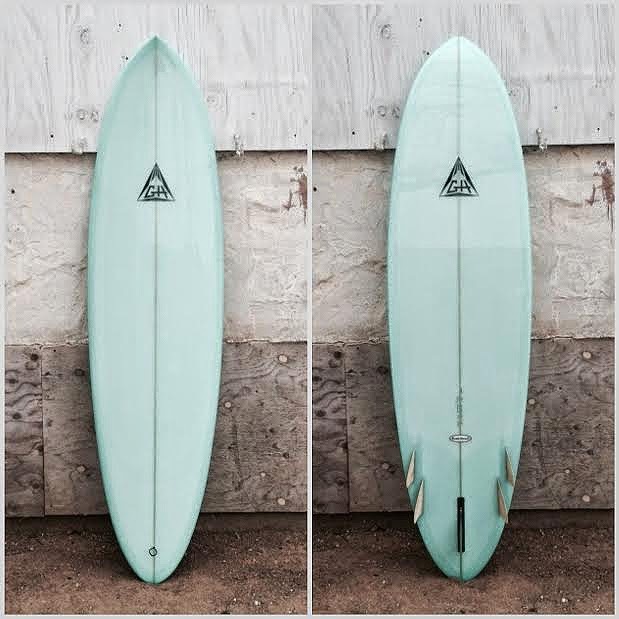 5 fin Bonzer setup. Siderunners are glass-on bamboo in GH’s ‘cuda cutaway template. We are calling this one the GH Notta Hull. 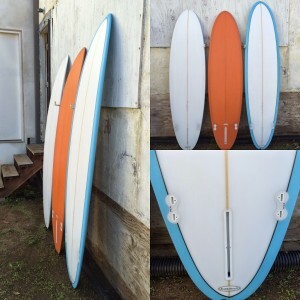 It’s got a classic California Hull outline and pinched rails, but the bottom is more friendly to waves that are less perfect than Malibu. Volan glass job, gloss & polish. 2+1 setup. Ride it with a flexy center fin and get groovy! 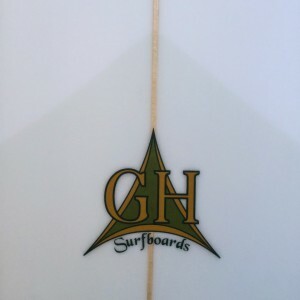 Our resident guru shaper Gary Hanel will be at Surfy Surfy Saturday June 7 from 10am-noon talking surfboards and taking custom orders. You can’t miss GH, he is 7 ft tall and carries a wizard staff.